HAProxy then manipulate buffers between these two connections. One of the drawback of this mode is that HAProxy will let the kernel to establish the connection to the server. The kernel is going to use a local IP address to do this. Because of this, HAProxy „hides“ the client IP by its own one: this can be an issue in some cases. 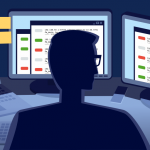 Here comes the transparent proxy mode: HAProxy can be configured to spoof the client IP address when establishing the TCP connection to the server. 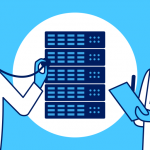 That way, the server thinks the connection comes from the client directly (of course, the server must answer back to HAProxy and not to the client, otherwise it can’t work: the client will get an acknowledge from the server IP while it has established the connection on HAProxy’s IP). By default, when one want HAProxy to get traffic, we have to tell it to bind an IP address and a port. The IP address must exist on the operating system (unless you have setup the sysctl net.ipv4.ip_nonlocal_bind) and the OS must announce the availability to the other devices on the network through ARP protocol. 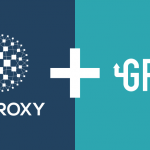 This is where transparent binding comes in: HAProxy can be configured to catch traffic on the fly even if the destination IP address is not configured on the server. These IP addresses will never be pingable, but they’ll deliver the services configured in HAProxy. Unfortunately, HAProxy can’t do transparent binding or proxying alone. It must stand on a compiled and tuned Linux Kernel and operating system. Below, I’ll explain how to do this in a standard Linux distribution. First of all, HAProxy must be compiled with the option TPROXY enabled. It is enabled by default when you use the target LINUX26 or LINUX2628. Purpose is to mark packets which matches a socket bound locally (by HAProxy). 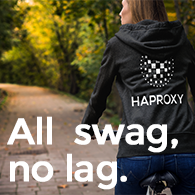 Finally, you can configure HAProxy.